For the past 20 years at least, the quality of commercially available fruit has been in alarming decline so that much of it these days is not fit to eat. 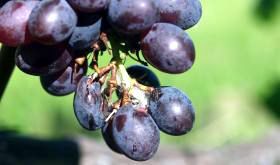 The most important criteria that ascertains fruit quality is that it be picked ripe off the tree. The second most important is that it be picked ripe off the tree. The third on through to the 5th or more, most important is that it be picked ripe off the tree. Are you getting the picture? In today’s world this crucially important feature NEVER happens unless you grow your own and go to great lengths to protect the fruit from vermin of all manner and description who see ripe fruit on a tree as the ultimate delicacy, which it is. There is an unwritten contract between fruit trees and man (and some animals). A tree is unable to move therefore it must elicit some help in order to reproduce its species far and wide - the aim of every species on the planet. 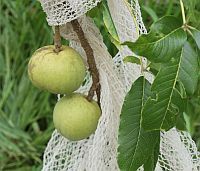 The method adopted by fruit trees is to wrap its seed in a substance that supplies ideal nutrition to the organism that will spread its seed. It really does want that organism to be fit and healthy so that it will return year after year to continue doing the good work. It is no coincidence then that when the seed becomes mature the fruit around it reaches the point of maximum nutrition. Hint, hint, don't pick the fruit before it is beautifully ripened, that is one part of our side of the contract. 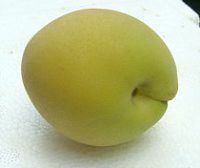 Look at the pip in a nectarine or peach from a supermarket, where it should be dark brown, it is pale yellow, immature and unlikely to germinate. We should be sued for breach of contract but the tree gets even, it has a penalty clause for when we eat the immature fruit it will taste like cardboard, contain very little nutrition and deliver a high proportion of waste so we tend toward disease and a shortened lifespan. Talk about payback, we thought Sharia law was draconian !!! The criteria used for selecting good fruit is based on the above, that is, by observing closely the fruit that falls from the tree of it’s own accord, completely ripe, on the day that it does so. 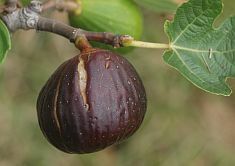 Some behave similarly, some differently and there are even those who wouldn’t drop from the tree until after serious deterioration, figs for example. What follows are hints and things to look for to ensure you can get the best from what is available and be able to steer clear of the utterly dreadful. 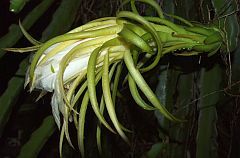 Dragon fruit flowers at night, moths do the pollinating see centre of top picture. First off, after 5th place it is necessary that the tree has been carefully nurtured by ensuring that all necessary minerals are available to it and its army of microbes. Only after that comes the choice between organic or conventional. Produce from regular organic growers comes with reasonable assurance that the fruit is chemical and poison free but that’s about it, its quality can be and often is, worse than supermarket fruit and certainly is never picked ripe off the tree. Biodynamic growers used to be a cut above ordinary organic and but now that a supermarket chain has it's talons into them, their produce quality has been reduced to very ordinary as contractural obligations force growers to pick even more weeks before maturity. The best place to shop is at a Farmer’s Market – FROM A FARMER – beware, many are not, they are merely opportunistic traders and couldn’t care less about quality. A genuine farmer who has a stall every week would at least pick his ripest fruit each week and he wouldn’t haul it half way across the country in a refrigerated truck. As well, there are distinct nutritional benefits for buying locally grown produce from these true farmers. Beware the ‘pretend farmer’, who thinks that just because he bought a few acres, scratched up the soil a bit and planted a few trees that makes him a farmer. Most of these guys know nothing about what it takes to grow good produce and their fruit can be abysmal. In selecting fruit we will primarily choose by sight and maybe confirm by smell and touch. Taste would be best but everyone frowns if you take a bite out of a few items only to put them back for lack of taste. It isn’t possible to categorize generally all the time, as what applies to one fruit doesn’t always apply to another. Often too there are different criteria for shop bought fruit than there are for picking from a tree. 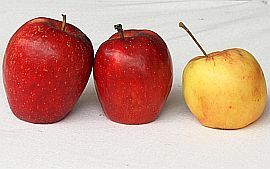 For example when an apple falls from the tree completely ripe it always has it’s stem attached but stems are not always present on supermarket apples. The whole fruit should have an aroma which if you sniffed it blindfolded you should know from that what it is. If not the fruit will be poor quality. Soft to the touch. Again more frowns if you work your way though a tray pressing hard and bruising them. A firm full hand grip is all it takes to see if there is some ‘give’ under the skin. Doesn’t guarantee good fruit, some could be months old and only just now beginning to rot – having skipped the ripening process. 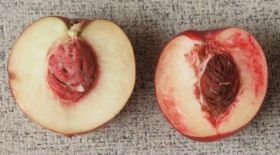 Apples are a bit confusing, you virtually never find tree ripened apples unless you live in an apple growing area, what you are most likely to get early in the season are some tending to almost ripe in with many picked too early. In this case it is OK to try and dint them with your thumb, if they do dint – buy those if they already pass the sight tests, if they don’t they were picked far too early. 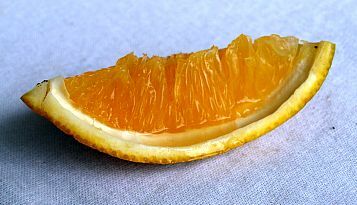 Re the thickness of the skin, citrus in particular. If this is found to be thinner than normal, it indicates that the trees were irrigated, probably excessively, the fruit will be low on sodium, have a low shelf life and generally leave the consumer unsatisfied after eating it. With a thicker than normal skin the opposite can be expected. What to look for - and avoid. Avoid shiny fruit, avocados, nectarines and plums to name a few. 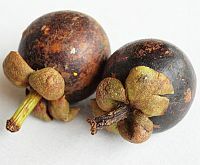 On a tree, smooth skin fruit is shiny before it ripens and turns dull as it becomes edible. 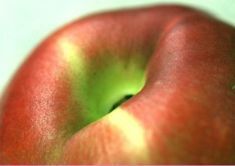 With incredible stupidity some growers polish and wax their fruit, apples in particular, to make them look even shinier. Goes to show how many decades have passed since the general public could recognize ripe fruit. This is difficult with apples as some varieties feel waxy naturally but the artificially waxed ones would not smell like an apple. Don’t be too concerned with rub marks or minor marks from insects, usually a good sign in that the fruit hasn’t been sprayed to the maximum with poisons. 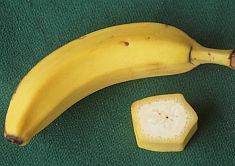 Avoid fruit where part of the stem is still attached. When picked ripe the stem in most cases will stay with the tree. Incredibly again, in their zeal to get fruit to the market early as possible, many growers will cut seriously immature fruit off the tree with secateurs. Extendable picking poles usually have secatuers built in but slightly bumping the fruit with the catching basket will cause it to fall in if it's ready. Any stems that ordinarily are attached, grapes cherries etc should be reddish to brown, definitely not green and never bright green. Beware though in the case of cherries, the fruit must be soft as well. If not and the stems are brown, then the cherries were picked scandalously immature, were stored for a long time and will taste terrible. In other than green fruit avoid those that have green skin next to where the stem attached. Definitely immature, in the same carton the ones with coloured skin at that area usually are too but there is a slight chance they could be OK.
Fruit that is naturally green should lose it’s intense green colour and tend toward paler green, gold or yellowish. On cutting open the fruit the seed colour is a great indicator. Stone fruit seed should be very dark brown. Apple and pear pips too. The lighter it’s colour the more immature it was when picked. 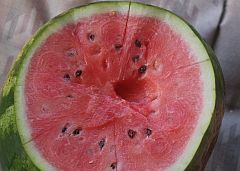 Most varieties of watermelon should have their seeds jet black. Seedless melons? Who in their right mind buys those genetically modified misfits to nature? Yeah, nearly everyone apparently. 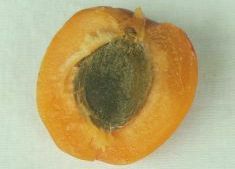 When mature the sugars are fully formed and once the fruit is broken open oxygen from the air reacts with these sugars to make them turn brown. 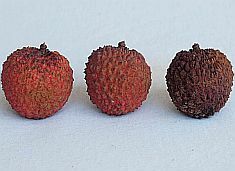 This is a good indicator as the less mature a fruit was when picked, the longer it takes for the brown to appear, in the worst cases the brown will never appear. A tree ripened apple for example will brown within 1 minute. This NOT a rotting process but an enzyme action, this brownness is entirely edible without any change in taste. There will however be some loss in nutritional content which will get greater as the air exposure time increases. The tree goes to great lengths to protect its fruit juice from exposure to the air. If you look closely at the flesh of an orange, it comprises a multitude of little sacs containing the juice. When these sacs are broken, as when juicing, the juice immediately starts deteriorating – if you eat the orange, the intact sacs go into your mouth so oxidization doesn’t happen. It follows then that if making orange juice from actual oranges (not from dehydrated, rehydrated and fortified Brazilian extract) the drink should be consumed within 15 minutes from making it and not stored in a refrigerator for a week. Buying juice in a carton? That stuff bears little resemblance in taste or nutrition to real juice. A farmer will sell his best fruit to the fresh market and anything not good enough to make that grade gets sold to the juice market. All of the left over crop goes to the juicing bin, seriously green immature fruit, half grown, the lot and even oranges are juiced with the skin on. Nothing that a few synthetic vitamins and half a tonne of sugar can’t fix. When picking fruit from a tree bear in mind that the tree is in effect, having a baby (lots of them), and the tree will ‘give’ it to you when it has completed its offspring. That is, the slightest touch will result in it falling into your hand. Wrenching, ripping, snipping or otherwise tearing it from the tree is in effect inducing a premature birth. 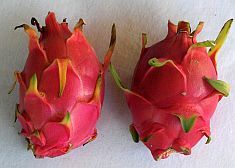 Some species resist letting go of their offspring, figs, strawberries and lychees for example and need a 90 degree tweak to get them to part company. That is, hold the fruit firmly and bend it through a right angle whereupon it will snap off it’s branch if it’s ready. If it doesn’t, leave it a few more days. 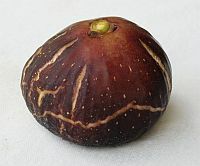 Figs need to have splits appearing in the skin and a brown stem first. 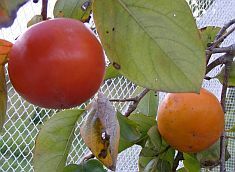 Persimmons are the exception to the rule, they just won't part company from their tree no matter how ripe and do have to be snipped. Growers. They have to buy a farm at prices that often reflect subdivision potential. Usually they are heavily in debt therefore their main concern is producing the maximum number of cartons at the best possible price – no concern at all for quality fruit that will contribute to your good health. As soon as the fruit is visually acceptable it is in a box and off to market, the earlier in the season the better to get the best price. Another factor is the earlier picking dramatically reduces the danger of vermin such as bats, taking the whole crop overnight. Of course if the fruit isn’t ripe enough for bats and birds to consider it edible why on earth do we think it will be edible for us? ‘Ripe off the tree’ - never going to happen. Our erstwhile scientists are continually developing new tree species and unfortunately this often results in fruit that is visually appealing earlier and earlier in the growing cycle, this tempts growers to pick even sooner when there isn’t the slightest hint of ripeness. This fruit is destined for ripening rooms where it will be gassed to make it become soft prior to offering it to the consumer. Two chronic examples are Calypso and R2E2 mangos. Calypso in particular with its red and yellow colouring looks so visually appealing it becomes mouth wateringly attractive – till you get it home. Then you find there is no smell and it tastes like cardboard. Don’t ever buy these mangos, particularly from supermarkets, they are not fit to eat. On the other hand an R2E2 ripened on the tree is absolutely gorgeous and more than a complete meal. 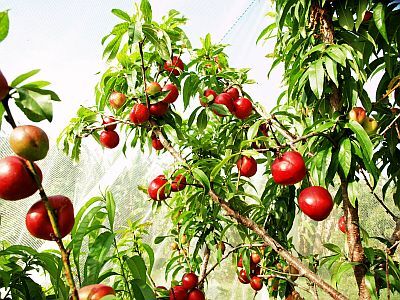 A fruit tree is very considerate in that it spreads its flowering over a 4 week or so period, this translates to its fruit ripening over a similar extended period. Commercial growers would therefore pick fruit from every tree 2 or 3 times in the season. Picking costs ‘eat’ into the profits of course so now there is a new development, spray the entire orchard with ethanol. 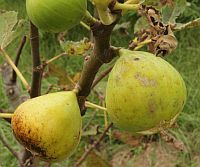 Within a few days all the fruit will begin to soften thus appearing to ripen but is better described as pre-rotting, now the entire crop can be picked just once. Dollars in the bank far far outweigh any consideration toward your well being. Wholesalers. 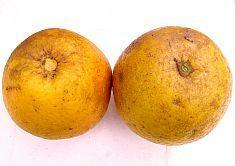 They are just not geared to handling ripe or almost ripe fruit. In fact they won’t buy it even if the grower offered it to them at half price. They will buy it by the truckload if it is nowhere near ripe and yet visually appealing. They will put it into cold storage and slowly release it via a ripening room to shopkeepers. Case in point, a friend visiting the Cairns region emailed this about mangos, “I have got friendly with the lady at the farm where I get them and when I say I want a box, she piles them on until I have a pyramid of them. And then she charges me all of $10. I get approximately 3 mangoes or more sometimes for the $1 and they are good, just too ripe to send to the market.” City people are getting the ‘raw’ deal – for a change. Shopkeepers. They don’t want to handle ripe fruit either; they don’t want to spend the time to gently put it on display. They prefer to tip it en mass from bin to display without the danger of bruising. As well, if the fruit isn’t ripe then it can withstand the constant barrage of people squeezing it to see if it is. 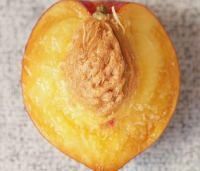 If ripe fruit were to be sold in a shop it would have to be via a specially designed vending machine so the fruit could be seen but not touched, squeezed, bruised, ruined – in that order. Consumers. The biggest culprit of all. If good fruit is offered at $6 / K and rubbish is offered at $2 /K, the majority will buy the rubbish every time. The grower of good fruit doesn’t make a living and the rubbish grower thrives. The cost of growing good fruit is significantly higher than growing rubbish. It is amazing that so many housewives charge down the aisles with their shopping trolley, grabbing a range of fruit with nary a thought as to whether it might be good, bad or indifferent. It’s almost ritualistic, accepting that fruit needs to be part of one’s diet - there you go, I’ve filled that requirement, now where are the meat, milk and fast food sections. Just in case anyone is wondering what difference there is between fruit ripened in a ripening room and fruit ripened by the tree – it’s sad that the thought even springs to mind. On one hand there is a room full of underdeveloped fruit - with sugars not fully formed, mineral balance not in place and will be sour no matter what – being subjected to a man made synthetic gas which doesn’t really start a ripening process but rather it begins a pre-rotting process. On the other hand aided by sunshine, the tree, by processes not fully understood, completes the formation of all the sugars, enzymes, minerals etc in the fruit which then will taste sweet, fully flavoured and be nutritionally ideal for our well being, especially so if the consumer lives in the same area where the fruit is grown. It’s a no brainer pure and simple. The latest round of idiocy prompted by consumers is in response to their complaints that 'apples go brown after being peeled, bitten into or cut open' (hooray for that, indicates quality apples). So science is coming to the rescue by endeavouring to breed apple trees whose fruit don't go brown. So what happens to the enzymes that nature put there for our benefit? Are we to get enzyme and/or sugar free apples in future, why on earth eat an apple that doesn't supply us with our essential nutrients? In conclusion a word on irradiated fruit, don’t ever knowingly buy that. It’s purpose is to kill off all bacteria which prevents the spread of exotic diseases. This lack of live bacteria greatly extends the shelf life of fruit, commercially seen as a big plus but nutritionally is a devastating minus. For example oranges imported from the USA, while visually OK they smell ‘off’ they feel like an old soggy sponge cloth and they taste half rotten, which they are. Presumably these are irradiated but whatever has been done to them is definitely not health enhancing. The false economy to buying ‘cheap’ fruit – or any food that's cheap. So Mum buys 3 Kg of green apricots for $6. Kids come home from school and are hungry. Have an apricot, they run outside, take a bite, it’s terrible, throw it into the rose garden, run back inside, need more to eat, get an apple this time, sour, same result. Mum in desperation gives them a packet of crisps and they are out of her hair for an hour. Ha, must buy more crisps next time – too bad the kids are getting obese, they’ll grow out of it. Oh Yeah? What the USA does everyone follows suit. It was recently observed in one Wal-Mart store, 5 acres under one roof, the fresh fruit and veggie section occupied barely 7 meters of one aisle. Why? The quality if the produce has become so bad no one buys it anymore. The growers of reasonable produce with higher costs have been squeezed out, only the rubbish producers remain which is one of the reasons few families prepare meals from scratch. It takes a serious factory to apply all the enhancements to make rubbish palatable. All this will be coming to your local area soon !!! Time passes on and after years of consuming hot cooked food with or without alcohol and cigarettes plus getting used to poor quality fruit and veggies, one’s taste buds operate at far less than optimum and we don’t realize it. Not so with one’s children, their sense of taste is really acute. Beware then, a Mum long since lost her sense of taste, insisting to her violently resisting infant “eat this, it’s good for you”. The fact is the child is right, take it one step further, if your child won’t eat it, don’t feed it to the rest of the family either. Unfortunately children are trained to eat/tolerate rubbish at ever earlier ages so this valuable 'feature' will disappear all too soon. After choosing your fruit as best you could from the outlined criteria, this is almost the final arbiter to tell whether you got it right. After eating good quality, alkaline fruit the sensation that remains in your mouth afterwards should be neutral, that is almost no sensation at all. If the fruit wasn't up to scratch it will leave acidic conditions in the mouth much as does the morning after following a party night. This aftertaste sensation can be noticed after 10 minutes, 1/2 an hour, several hours or next morning. The worse the taste and the quicker it comes the worse the fruit was. This only applies so long as nothing else is eaten in between times. Money saving hint. Of the fruit you see that looks OK, buy only one of each. Soon as you're past the checkout, taste test them. If you find any that really are OK, go back and buy a bagful. Takes a bit more time but will save a lot of $s buying fruit that will be thrown away. Fruit is an important part of everyone's diet but poor quality fruit shouldn't be as it offers no nutritional benefits whatsoever. The one to the left now cut open, note dark brown seed. Good flesh colour and flavour. Will only be found like this early in the season, never mid to late season. Same supermarket, same day! Dreadful, inedible. $2 per Kg. When the good ones ran out the following week these were $6 / Kg. Bordering on fraud. Later in the season, externally these looked promising but when opened the seed was a dark smokey colour, the flesh tasted terrible & inedible. No shelf life, quickly went rotten. First impression is these have almost gone bad but are in fact are the ultimate in tree ripened, note the tip of the stems are still green. Fruit is fully firm and flavour is incredible. Never will be seen for sale like this. Red tinge comes in the final two days. 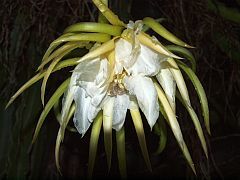 Just emerging after flowering. It will be around 15 weeks in summer to 20 weeks in winter before they look like the one at far left. From a supermarket. Harvested at least 5 weeks before maturity. Must be artificially gassed make it turn yellow. The amount of 'edible' fruit to total weight will be around 48%. No flavour, fraudulent to call them food. When buying coloured fruit there should be no green at the stem end. If no green, then there is a slight chance that it may have been picked when mature but if some green is visible, there is totally no chance at all. A farmer will pick all the fruit that looks visually appealing whether it is ripe or not. Some fruit might be but most are definitely not. 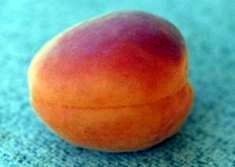 Store bought nectarine on the left, the stone is often more pale than this, can be almost white. 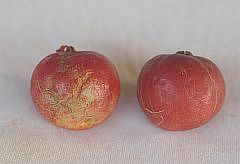 On the right is one fully ripened on the tree, note the dark brown seed. 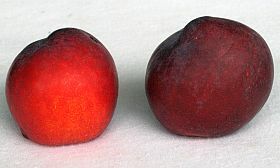 These are both white nectarines, the red tinge in the flesh of the tree ripened one only appears in the final week. The difference in flavour is indescribable. The more pale the stone the worse they will taste until they become inedible. They will rot rather than ripen. Note also that part of the stem is still attached, this is a dead giveaway that the fruit was picked well before maturity. Takes one person 40 minutes to put up, 15 minutes to take down so enabling regular mowing, pruning etc for most of the year. Cost A$110 for the netting, A$45 for the frame, ropes etc. As one tree’s season ends, move it to another whose is about to begin. Won't fall from the tree until severe rotting has set in. 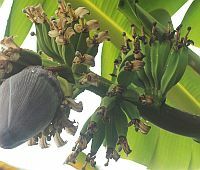 Ripe indicator is when upper green petals fade and yellow. 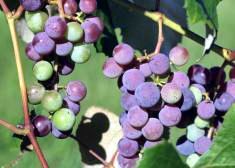 Will be soft when ripe and usually deep red but can be greenish red. When ripe, twisting back toward the trunk results in it snapping free of the tree, earlier it takes a lot of twisting and wrenching to dislodge. Well, they are golden before they turn red ! Let them turn a deep scarlet as on the right before bumping them with the palm of your hand, if ready they will fall into your hand. 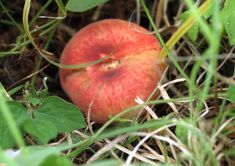 Flat China Peach left to fall off the tree into long grass, little bruising and totally mature. If eaten in this brownish state there is no discernible difference in taste. 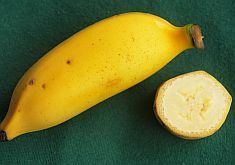 Fruit that is picked when very immature doesn't have its sugars fully formed and thus the flesh won't go brown when exposed to air. The grapes on a bunch don’t ripen all at the same time. Ideally, if a mostly ready bunch is shaken, many of them fall off but in practice some will be dehydrated and ants may have invaded others. The best option is to pick them off the bunch while leaving it on the vine. 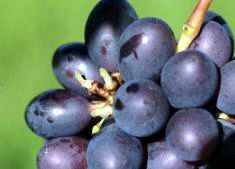 Pick only the darkest of dark grapes and the palest or most yellow of green grapes. 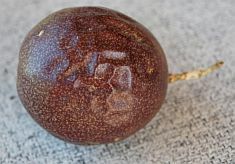 The stem of a grape protrudes into the fruit, these are almost fully ripe as the stem drawn from inside the fruit has started to brown as opposed to those at far right which are quite green. Never will this quandary occur with supermarket grapes. Last thing store keepers want is for the grapes to fall away from the bunch – no one will buy any loose at the bottom of a box so seriously immature will be what’s on offer. 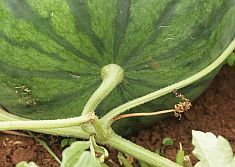 If picked too early the fruit is damaged as the stem is pulled out, lower and at right showing the inner stems being green. The closer to maturity they are picked, the less stem comes out and when it’s fully ripe the stem breaks off clean as upper. Buying from a shop the main bunch stem colour will be all there is to go on, just select when these are red or brown, as above top right corner, avoid the green especially the bright green. Unfortunately a bunch could still have been cut off with it's stalk green, then after spending a long time in a cold room, the stalk would turn brown anyway. 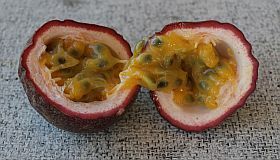 Passion Fruit falls from the vine with it’s stem attached. Best to eat at this stage, don’t wait till it gets very old and wrinkled On breaking/cutting open the pulp should be a rich golden colour. If pale it will taste sour, the more pale it gets the more sour it will taste. Usually will It take a 90o deflection back toward the trunk to pick it from the tree. Ready to pick, the stem has turned brown and splits are appearing in the skin. If picked too early the stem stays with the fruit and sap oozes. This one with it's tendril still green. 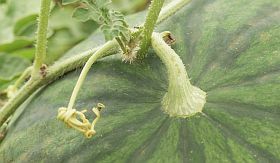 The tendril gets left behind when harvested so all there is to check in a shop is freshness of the stalk and crispness of the melon generally. Stem doesn't go brown on this variety, splits at the end rather than at the side. Will become extremely soft when fully ripe. Showing where the stems will naturally break off. Skin usually will be red and crisp. The brown one on right indicates having gone past the ideally ripe point, could be still OK but will be about to ferment. After cutting the melon open take note of the proportion of skin and white compared to the edible red. Properly grown as this one, the red will be 55% to 60% of total weight, Supermarket ones with thicker white area can rate 40% or less. Tropical Apples, Anna left & centre, Golden Dorset at right. Note stems intact and totally brown. As they fell from the tree. Extremely fragile when ripe. 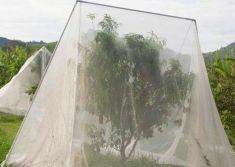 Net is to protect from birds as well as catch the fruit when it falls. Best when picked when the skin gets crazed as the one on the left. Note some stem segment remaining on the one at right, none at all on the fully tree ripened left one. Pick when husk turns brown. 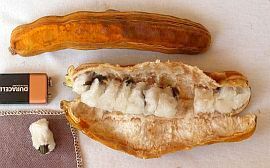 Edible part is white flesh around the seed - it amounts to 30% of total weight of the whole bean. Has to be extremely ripe, very soft and fragile before it will part company clean (ish) from the tree. So sweet at this point it's like sipping syrup. Rare that a species won't readily part with it's ripe fruit, best to snip from it's branch with thin bladed scissors. Pick when soft deep scarlet as upper left, not orange and hard as right. As picked from the tree, fully coloured and the stem snapped off readily. Never eat the skin off a market pawpaw, fruit has usually been dipped in nasty poisons and skin would be bitter anyway from being picked green. 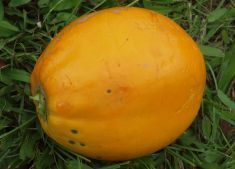 Note deep orange colour and black seeds. 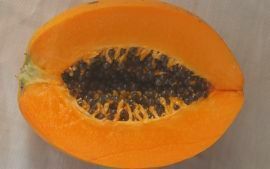 The measure of a good pawpaw is how close to the skin it can be eaten without turning bitter. Eat the skin and all on this one, no bitterness at all. Massive amounts of beneficial enzymes in and near the skin. Beautiful fruit, short of it's best by being snipped prematurely from it’s mother, the tree. 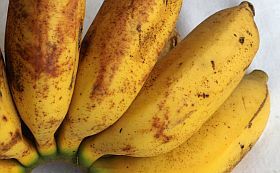 (1) Re bananas, because of the different fruit to skin percentage, paying $5/Kg for a good quality mature banana means the edible fruit costs $7.42/Kg whereas paying $3.50/Kg for the immature works out dearer at $7.45/kg for it's edible part. Same applies to many other fruits - list coming soon.